Dietitian Dr Kacie Dickinson takes us through the facts about salt intake. Think about what you ate for breakfast this morning. Perhaps you had some cereal or a couple of slices of toast. What about a ham and cheese sandwich for lunch? What you may not realise is that these foods have already contributed to 75% of your daily salt intake. With this salty truth in mind, Dr Kacie Dickinson, Accredited Practising Dietitian from Flinders University, gives us the low down on salt research. Most of our daily salt intake actually comes from processed food – however, many of us are eating more salt than we realise. 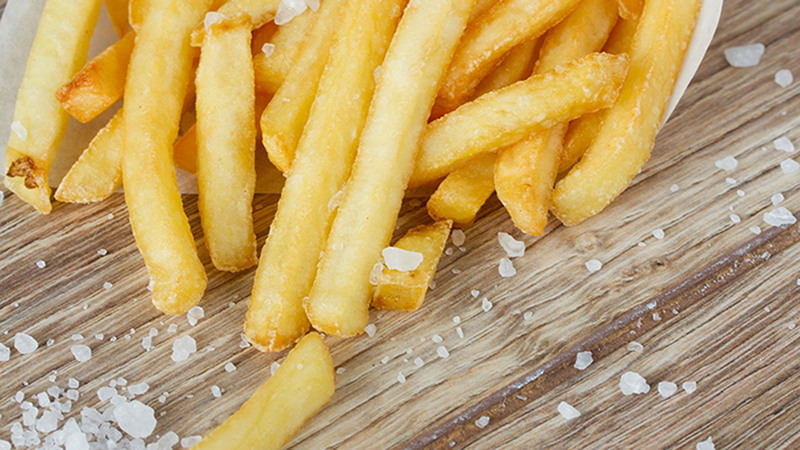 Not only is salt found in fast foods and takeaways, it is also present in lots of commonly eaten foods such as breads and breakfast cereals. In fact, it’s not uncommon to consume your daily salt intake in a single meal. In Australia, it is recommended we consume no more than 6 g of salt (2300 mg sodium) each day, equivalent to one teaspoon of table salt. We don’t actually know much about what’s happening in our bodies when we eat very salty meals, but we do know that in the longer term, people who eat too much salt are more likely to develop heart attacks and strokes. To understand this further, researchers have been looking at blood vessel function. This is one of the earliest detectable stages of the process underlying heart disease. Using ultrasound, researchers can very simply test how well blood vessels can relax. We see healthy blood vessels are smooth and elastic, whereas unhealthy arteries are like steel pipes – stiff and inflexible. In a recent study, researchers gave participants two different meals – a meal high in salt (containing about 4 g or ¾ teaspoon of salt; around what you’d find in a takeaway pizza or fast food meal) and a meal low in salt, and compared how well their blood vessels functioned following each meal. After people had eaten the high salt meal, their blood vessels were immediately stiffer compared with the group who ate the low salt meal. What was interesting was that these changes in blood vessel function were happening regardless of any changes in blood pressure that occurred. This suggests that as you go through the decades where the blood vessel lining is challenged and not working as well, you’re setting yourself up for blood cholesterol to stick to the arteries – meaning you may be more likely to suffer from a heart attack or stroke in the future. So not only is total salt intake important in determining future risk for heart disease, but meal-time sodium intakes may also be important. More research needs to be done to understand how salt may cause these harmful effects. But the good news is that by reducing salt in meals by as little as half a teaspoon, we may be able to reduce the risk of heart attacks and stroke. Eat fresh. Fresh foods are naturally low in salt, so eating more vegetables, fruits, lean meats and legumes can help you easily reduce your daily sodium intake. Ditch processed foods. Reduce your intake of processed foods – this refers to many pre-packaged, tinned or frozen convenience foods. Check labels. Look for labels on packaged foods that include words like ‘No Added Salt’ to help you select low sodium varieties. Don’t add salt. Not adding salt to your foods during cooking or at the table is an easy way to reduce salt intake.